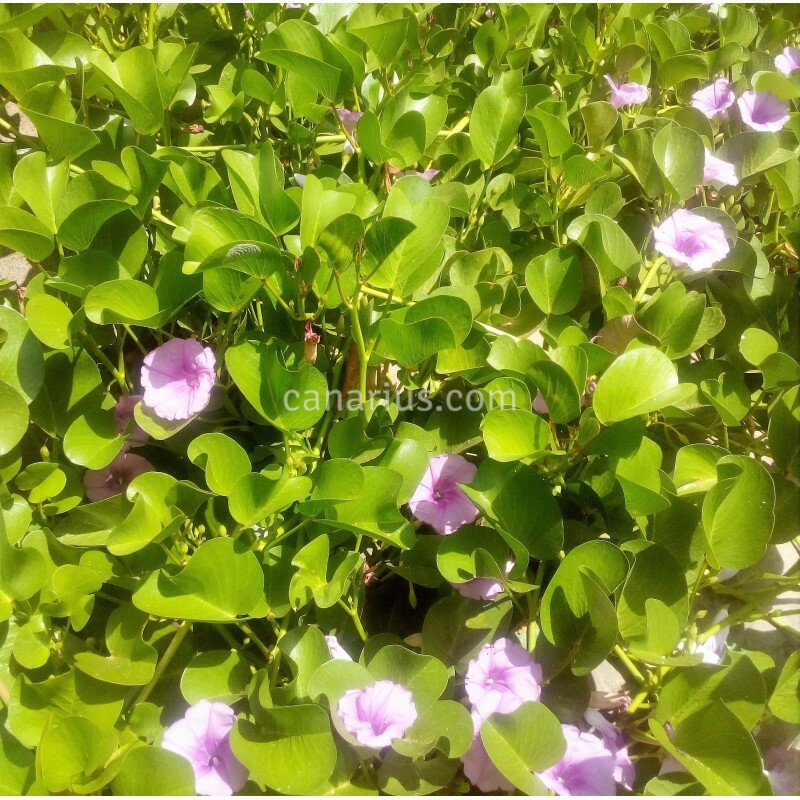 Groundcover ornamental plant, with bilobed glossy leaves and deep pink trumpet-shaped flowers produced continuously through the warm weather. This plant is typically seen growing on sand in many tropical beaches of the whole planet. Of course it needs full sun and sandy or draining soil. 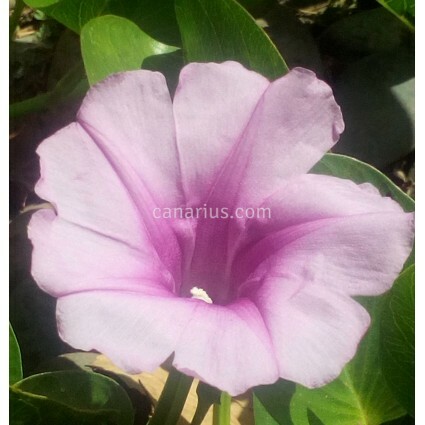 It is very easy to grow but it does not like cold and only takes light and short frost. In warm Mediterranean areas it can loose leaves in winter and some branches and will usually come back from the basal shoots.